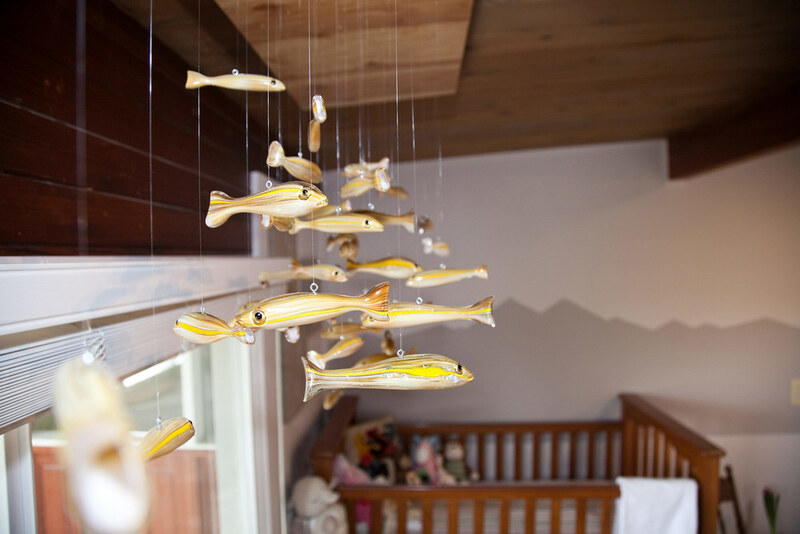 JP created Oama Mobile for his first born daughter, Anais Desirée Canlis, in 2010. 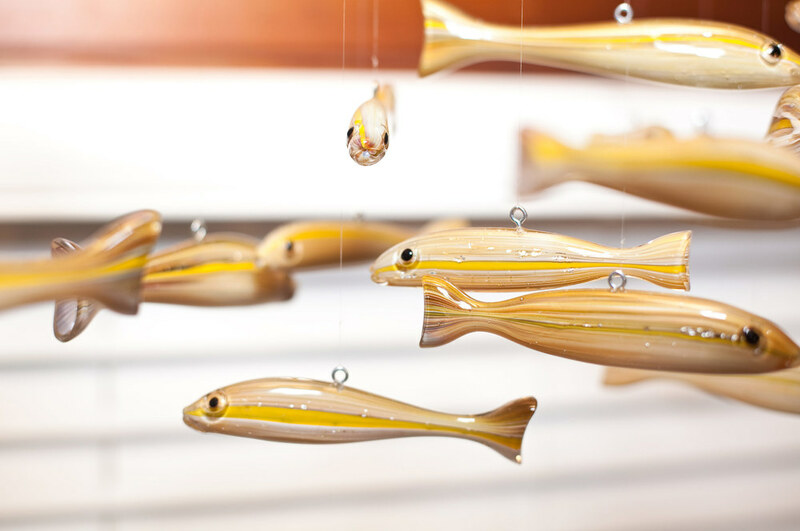 While living in Hawaii as an adult, fishing was one of JP's favorite pass times. 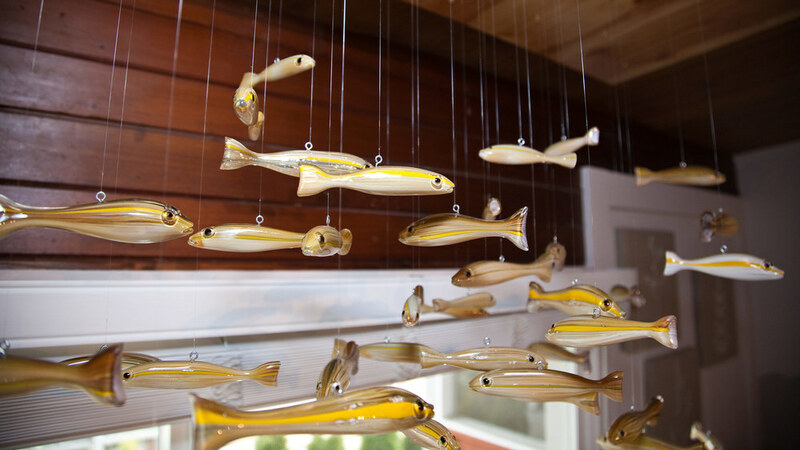 JP sculpted over 30 Oama (baby goat fish) to create this melodic mobile. It makes a beautiful sound when they move, as they softly clink against one another.